ETP HYDRO-GRIP PENCIL can be made to your specific length requirement, using our online design feature. Simply choose any machine shank available in our assortment, with any tool dimension (6 - 20 mm. 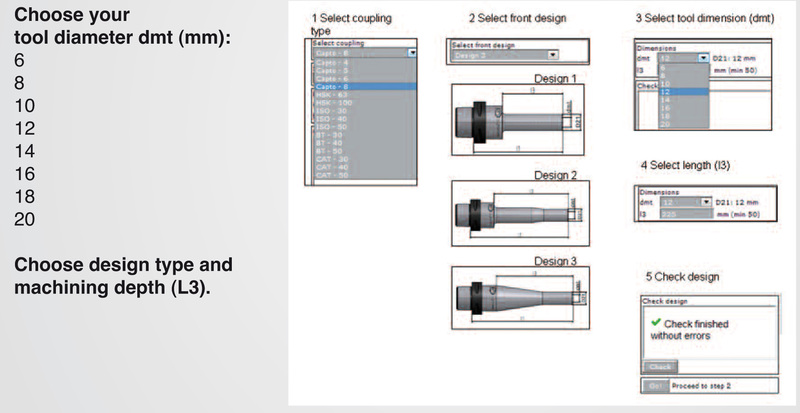 Specify your required design type (1 - 3) and machining depth (L3). Our online programme will check the design possibility. Enter your details and quantity request and proceed to download complete drawings and CAD-files. Our sales department will shortly contact you with a quotation.